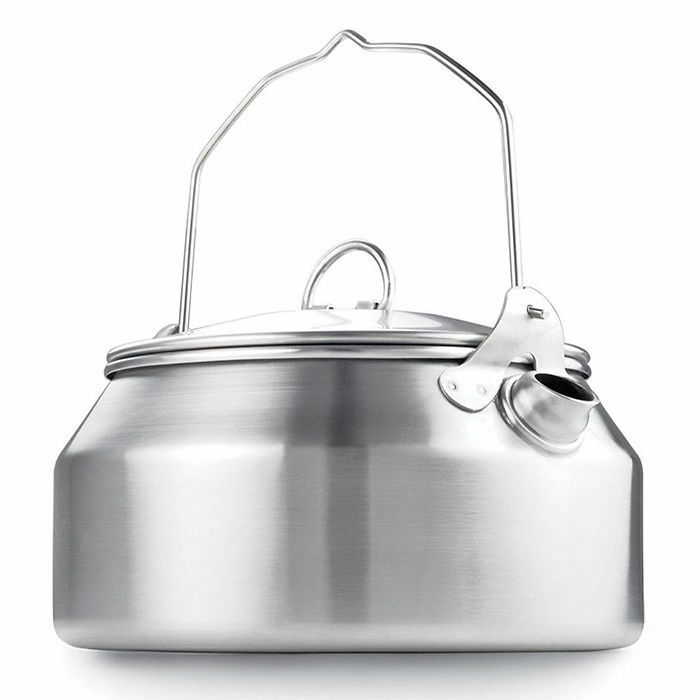 The GSI Glacier Stainless Kettle is a tough and compact camping kettle made from stainless steel. It offers a more durable and campfire-friendly alternative to the lightweight GSI Halulite Kettle. With a classic, low-profile shape, the Glacier Stainless Kettle has a capacity of one litre in an easy-to-pour design, making it an ideal piece of kit for solo or two-person adventures. The wide opening makes it easy to place snow inside the kettle for melting, and also makes it possible to store a wide range of ultra-light stoves inside when not in use, allowing you to pack your brew kit more efficiently. The kettle's superior heating characteristics allow it to cook more evenly than rival models will, over any stove or flame. 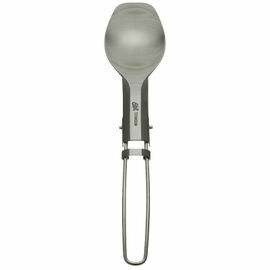 A convenient folding handle allows you to suspend the kettle from a cooking tripod, and locks into place when boiling. 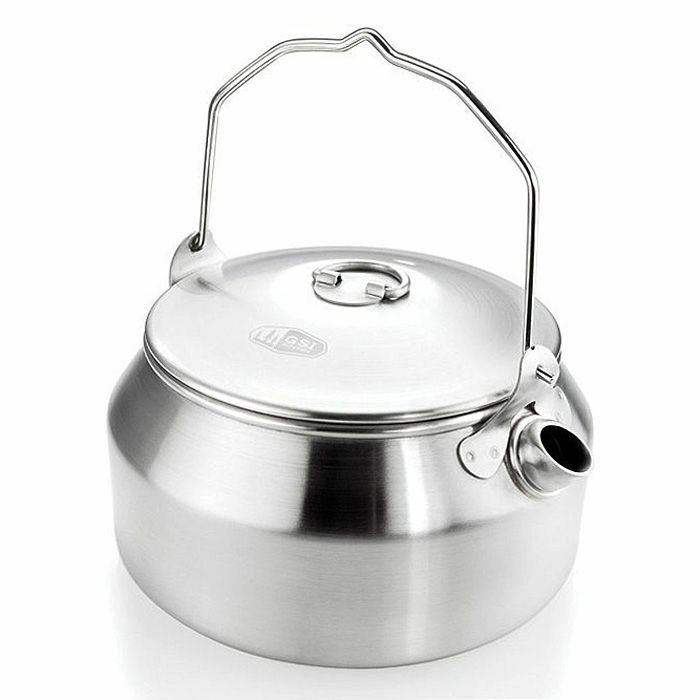 GSI Outdoors Glacier Stainless Steel Camping Kettle is rated 5/5 based on 12 customer reviews. Excellent item. Pours perfectly easy to clean. Brilliant on gas and wood fire. 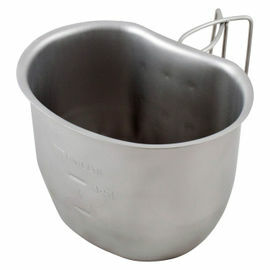 Excellent value for money, quality kettle to use on a stove or hanging over a fire. Good size, useful for storing things in whilst on the move. The large lid makes it easy to load up. If I lost this kettle I would buy the same again as a replacement. The item arrived quickly and was great to use on our first camping trip. I would recommend it, as it is small and reliable and can be hung over the fire too. Easy to carry and pack away. 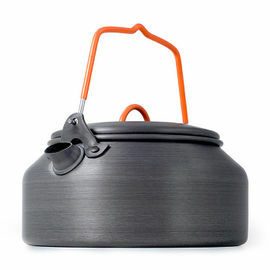 Very handy little kettle, folds down very neatly, strong and lightweight. The inside is handy for storing items whilst in the rucksack. I find this kettle to be of a perfect size for many outdoor uses. 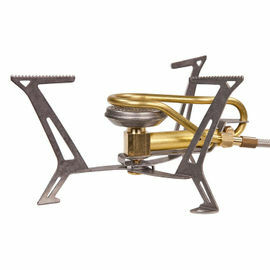 Its stainless steel construction allows it be be placed directly on a camp fire and to be scrubbed clean as necessary. 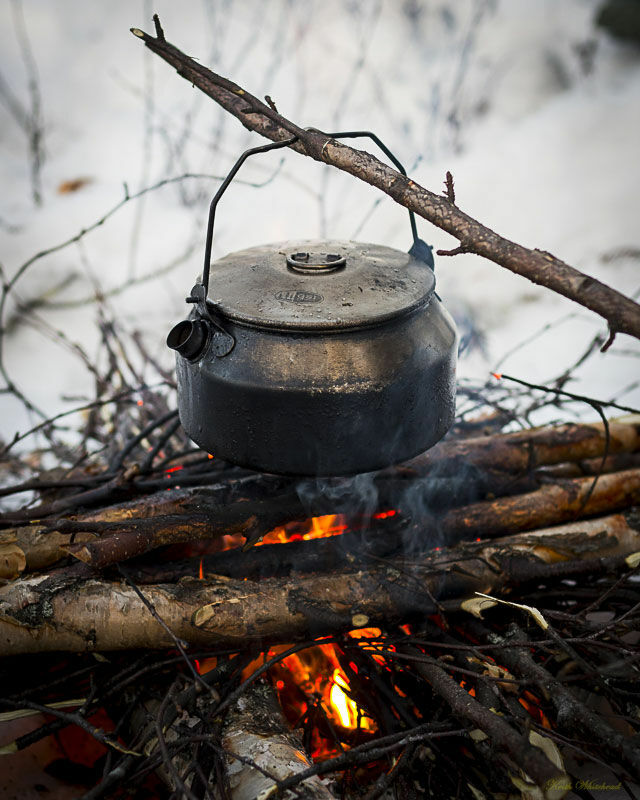 The loose fitting lid has a handle which can remain upright, allowing the lids safe removal when hot.The Kettle itself has a large notched handle which can be used to suspend it over a camp fire. 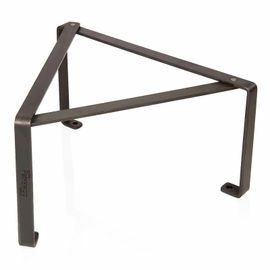 The brackets that attach the handle to the body can hold it in an upright position if desired. It can also fold flat against the body of the kettle. I find that when filled, I can boil enough water for Tea and then cook my meal in the remaining water in the kettle.You can also carry your cooking and eating equipment inside it. I find it useful to put a ranger band around the kettle to hold the lid on and keep the handle in place during transport. 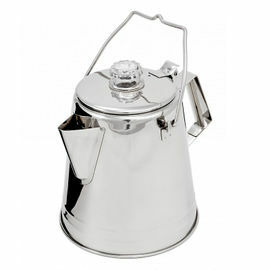 I was looking for a stainless steel kettle that would fit inside my MSR billy set. This kettle did the job perfectly. Well constructed, robust, clever design ensures you can stow a gas canister and stove inside. Handle holds kettle securely if hanging over a fire or simply when pouring. Beautiful design, attractive lines, never thought I could get so emotionally involved with a piece of stainless steel. Must be the Sheffielder in me, although this is made by our cousins over the water. Great buy, worth every penny. Excellent kettle, if a little small. Gets used on my woodburning stove. I received this kettle within 48 hours, exactly as described. The GSI has got to be the Rolls Royce of outdoor kettles; perfect for me and my three kids. As with everything I have purchased from Woodlore - faultless. A good quality piece of kit that pours extremely well with no drips. It can be used on a stove or suspended over an open fire. 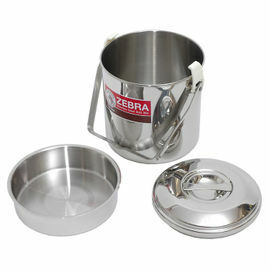 It has a large aperture and lid, which allows easy cleaning, and is suitable for use as a kettle to boil water or as a pot to cook soups and stews etc. It is a bit expensive but I bought it in preference to an aluminium kettle as there are no oxidisation issues, plus aluminium has been linked (possibly not proven) with Alzheimers disease. The handle does get hot so be aware of that although it is not an issue for me. Excellent when travelling on your own or for two of you, although a bit small when there is a bigger party.